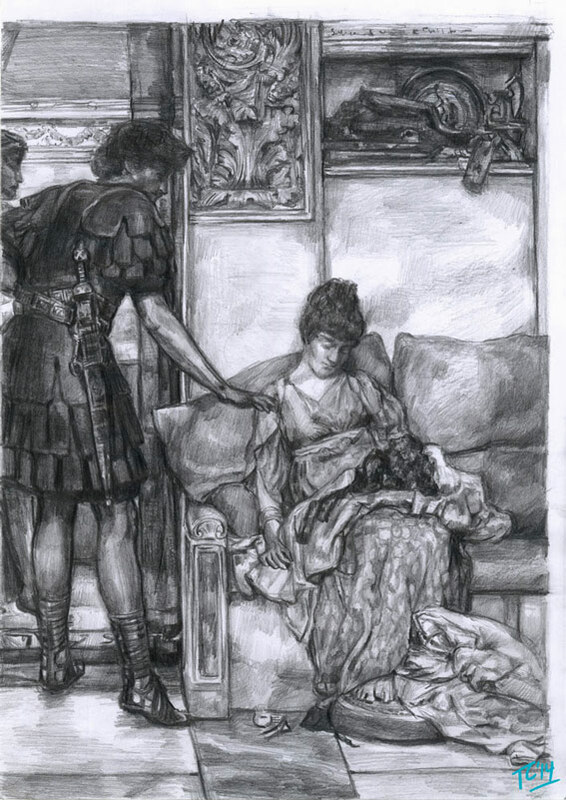 Here is another Sir Lawrence Alma-Tadema study I have drawn. The Painting is titled "A silent greeting." 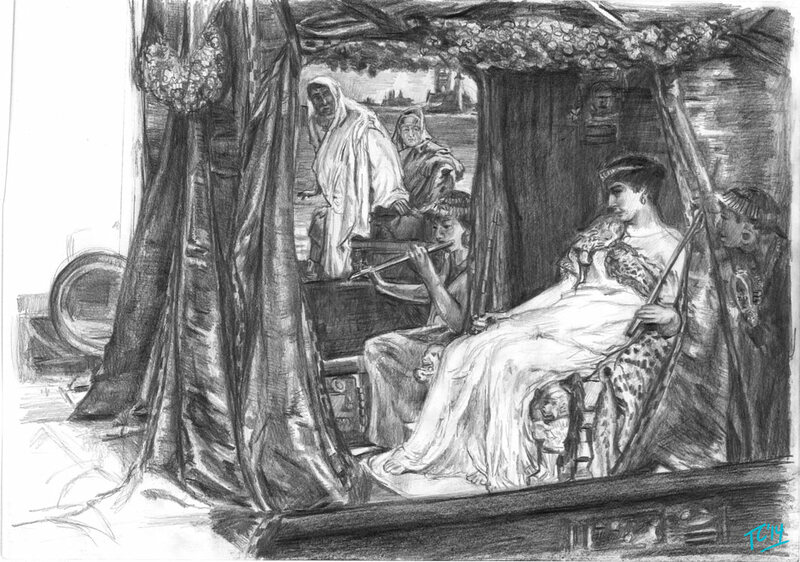 The study was drawn from observation of a colour print out, I forced myself to convert the colours into values. By doing these studies, my drawing skills are growing again, even observation skills. It's amazing how sometimes you don't realise how rusty you are. Will try to keep more of these up through out the year. After stretching myself with marker for most of the year I have returned to greylead for a week of lifedrawing. She was an amazing life-model who wants to join the circus and could hold some amazing poses. Here is a 20 minute pose.